“F” is for Flamingo, Frigatebird, Frogmouth, Fairywren, Flowerpecker, Flufftail, Fantail, Figbird, Fulvetta, and/or Finch — plus whatever other birds there are, that have names that begin with the letter F.
This present study (i.e., “‘F’ Birds, Part 1”) will focus on Flamingos and Frigatebirds. 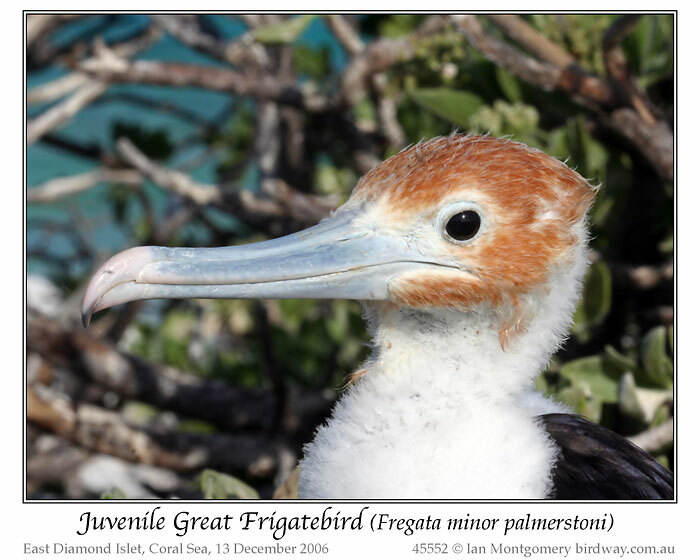 But first, because this blogpost-article calmly continues an alphabet-based series on birds, we first look at Psalm 119:41-48, — thereafter we review two categories of birds that start with the letter “F”, namely, Flamingos and Frigatebirds. The perfect example is the “acrostic” pattern of Psalm 119, the longest psalm (having 176 verses! ), which psalm has 22 sections (comprised of 8 verses per section), representing the 22 letters of the Hebrew alphabet. (Compare that to the English alphabet, which has 26 alphabet letters, and/or to the Norwegian alphabet, which has 29 alphabet letters.) The sentences in each section start with the same Hebrew letter: Verses 1-8 start with ALEPH, Verses 9-16 with BETH, Verse 17-24 with GIMEL, and so forth. The such alphabetic-acrostic grouping of verses is Psalm 119:41-48, each of which verses begin with the Hebrew letter VAV [also written as WAW], — which is translated (in English) as a “V” or “W” if used as a consonant, or translated as long “O” or long “U” if used as a vowel. The Hebrew word based upon this letter is VÂV (a/k/a WAW, like the letter itself, pronounced “vahv”, like the word “valve” without the L sound), which is routinely translated as “hook” (13x) in the Old Testament (see YOUNG’S ANALYTICAL CONCORDANCE, Index-Lexicon to the Old Testament, page 52, column 3), i.e., in Exodus 26:32; 26:37; 27:10; 27:11; 27:17; 36:36; 36:38; 38:10; 38:11; 38:12; 38:17; 38:19; & 38:28. Thus, the concept of “connection”/“joinder”, illustrated by the use of a connecting tent-hook/peg (used in assembling/fastening pieces of the Mosaic Tabernacle), is the concept to be expected when the Hebrew letter VÂV is used. An etymologically related verb, LAVAH (apparently combining the concepts of toward [L], hook/joinder [V], and distance/position [H], to indicate “joined/belonging to that position”) is routinely translated as “join” [in the niphâl form], e.g., in Esther 9:27; Isaiah 56:3 & 56:6; Jeremiah 50:5, and as “cleave” in Daniel 11:34. 41 And shall come [vîbō’ūnî], unto me, Thy mercy, O Lord, even Thy salvation, according to Thy word. 42 And I will answer [ve’e‘eneh] him who reproaches me, a word, because I trust in Thy word. 43 And don’t-let-escape [ve’al—tatsêl], from my mouth, the word of truth, very much; because I have hoped in Thy judgments. 44 And I will safeguard [ve’eshmerâh] Thy law, completely, forever and ever. 45 And I will walk [ve’ethallekâh] in largeness [i.e., with great liberty], because Thy precepts I have sought. 46 And I will speak [va’adabberâh] of Thy testimonies, before kings, and I will not be shamed. 47 And I thoroughly-delight-myself [ve’eshta‘sha‘] in Thy commandments, which I have loved. 48 And I raise [ve’essâ’] my hands up, unto Thy commandments, which I have loved; and I will meditate within Thy statutes. As noted before, Psalm 119 is all about God’s revelation of truth – especially truth about Himself – unto mankind (in a comprehensive “A to Z” panorama). The most important revelation of truth that God has given to us, and the most authoritative form of truth that we have, is the Holy Bible – the Scriptures (2nd Peter 1:16-21). Here, the octet of verses in Psalm 119:41-48 is dominated by references to the Scriptures, using the terms “the Word” (DABAR in verses 42 & 43; IMRAH in verse 41), “Thy law” (verse 44), “Thy commandments” (verses 47 & 48), “Thy testimonies” (verse 46), “Thy statutes” (verse 48), “Thy ordinances” (verse 43), and “Thy precepts” (verse 45). Notice how the positional/relational connectedness “theme” of the Hebrew noun VAV appears frequently in this section of Psalm 119 – because God’s salvation mercifully comes unto (i.e., joins) the psalmist according to God’s Word; the psalmist confrontationally give an answer unto (i.e., enjoins) his opponent, in reliance upon God’s Word; the psalmist does not want God’s true Word to depart from (i.e., escape by disjoining) out of the psalmist’s mouth, because the psalmist relies upon God’s providential judgments; the psalmist continually safeguards (i.e., secures/keeps close to himself) God’s law; the psalmist’s walk stays joined/connected to the large pathway of God’s precepts; the psalmist confronts (i.e., enjoins) king with God’s testimonies; the psalmist loves — delighting within himself – God’s commandments, such that God’s law is in the psalmist’s heart, wherefrom the psalmist devotionally meditates thereupon, in reverence and love. 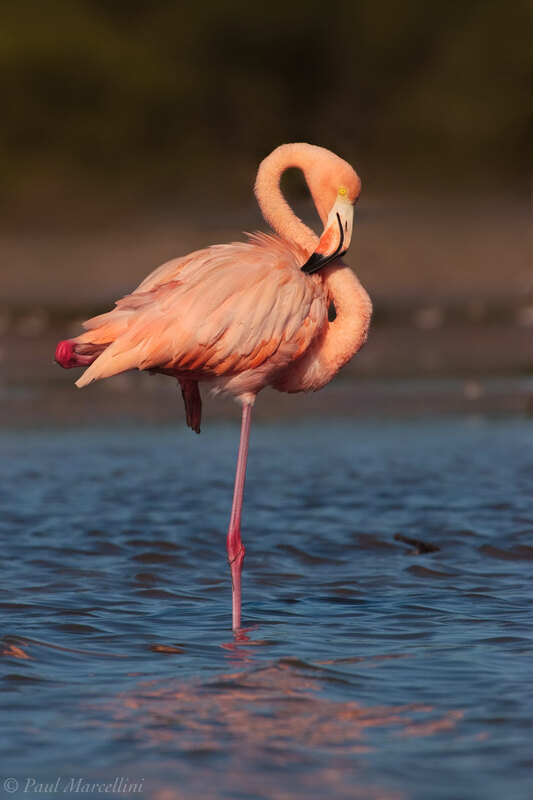 After that lesson (from Psalm 119:41-48), let us rejoin (pardon another pun) our study of “F” birds, beginning with FLAMINGOS, a long-legged wading shorebird well-known to Floridians. 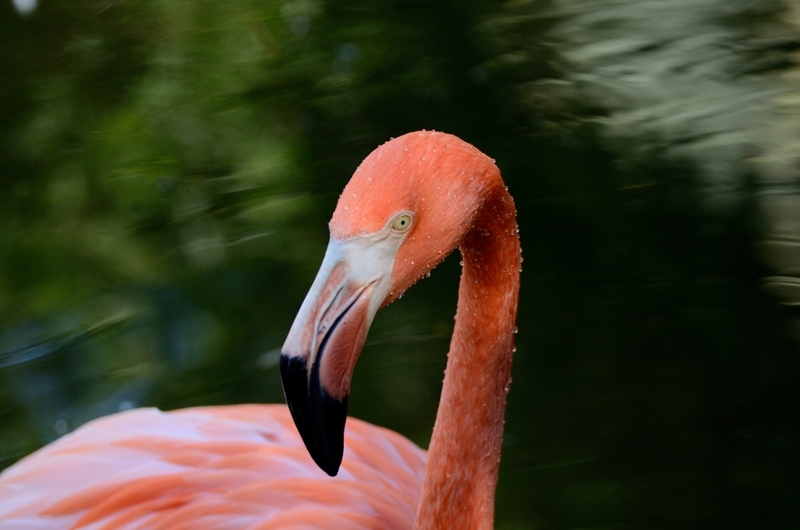 Regarding American Flamingos, see Lee Dusing’s “Phoenicopteridae — Flamingos”. 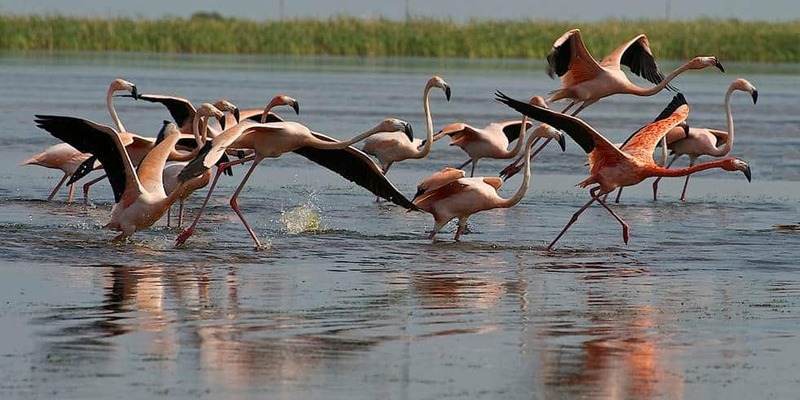 See also Ian Montgomery’s description of the Greater Flamingo, at Ian’s Bird of the Week – Greater Flamingo. An extremely slim rose-pink [but sometimes flamboyantly bright orange-red or pink-salmon] wading bird as tall as a Great Blue Heron but much more slender. Note the sharply bent bill or broken ‘Roman nose’. Feeds [e.g., shrimp and other small tidewater crustaceans] with the bill or head immersed [in shallow water]. 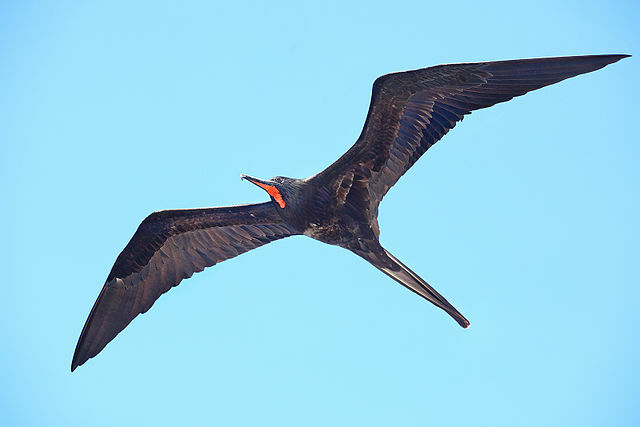 In flight it shows much black in the wings; its extremely long neck is extended droopily in front and the long legs trail behind, giving the impression that the bird might as easily fly backward as forward. Pale washed-out birds may be escapes [i.e., escapees] from zoos as the color often fades under captive conditions [unless a carotene-rich diet is supplied and digested, e.g., carotene-pigmented pellet containing carrots, red peppers, and/or dried shrimp]. Immatures are also much paler than normal adults. [Quoting Roger Tory Peterson, EASTERN BIRDS (PETERSON FIELD GUIDES), A COMPLETELY NEW GUIDE TO ALL THE BIRDS OF EASTERN AND CENTRAL NORTH AMERICA), 4th edition (Houghton Mifflin, 1980), page 110.] 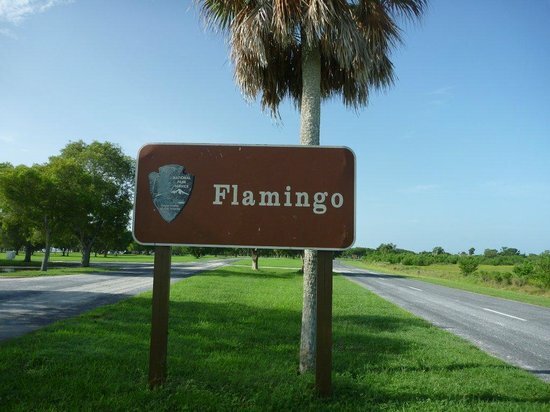 Slat flats and saline lagoons are a favorite habitat for American Flamingos in Florida. 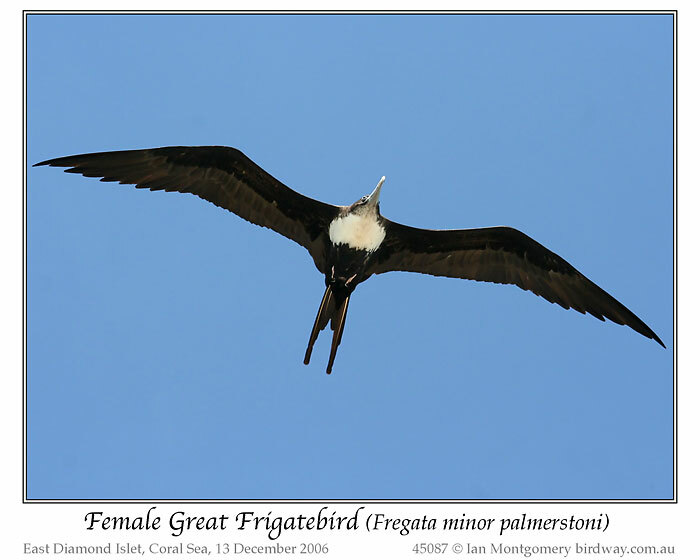 Regarding those huge-winged oceanic birds we call Frigatebirds, see Ian Montgomery’s “Great Frigatebird”, as well as Ian Montgomery’s “Lesser Frigatebird”. See also, “Flag that Bird! (Part 3)”, a part of which article is reprinted hereinbelow. God willing, the next contribution to this alphabetic series will be some more “F” birds – perhaps Finches, Frogmouths, and Fairywrens! Meanwhile, in accordance with Psalm 119:41-48, may you and I use God’s Word, always, to connect the priorities of daily life, as we “join” with our daily opportunities to follow and glorify the Lord Jesus Christ. This is the third of the post-cyclone Yasi birds of the week. The first dealt with survival of small birds; the second with birds like fruit-doves that move after the cyclone in search of food. 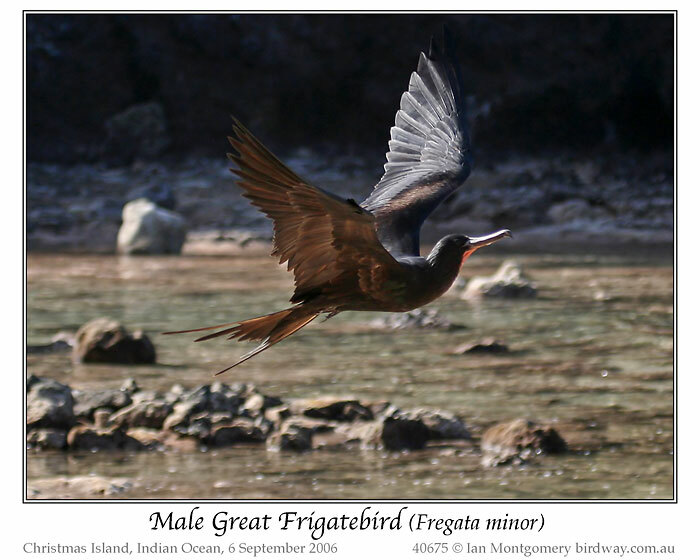 Another category of birds greatly affected by cyclones are seabirds, particularly those that spend much time on the wing and these often appear in places where they are not usually seen or get blown inland, sometimes over great distances. 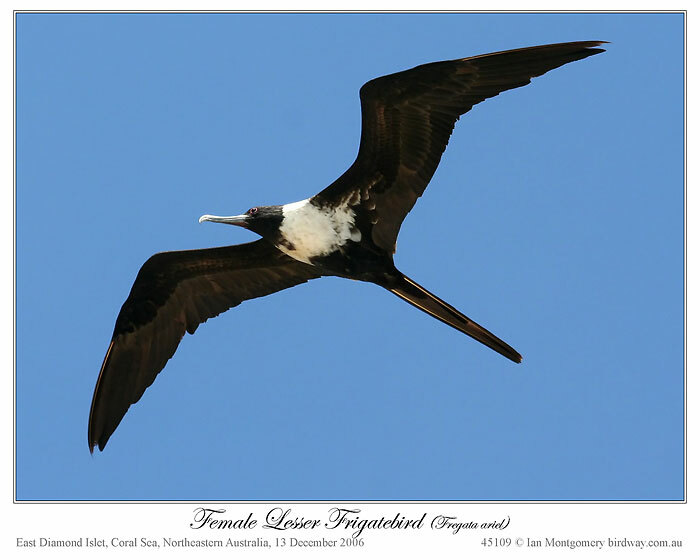 The Lesser Frigatebird is common in oceanic waters of northern Australia and breeds in colonies both on the northern mainland and on cays and islands. 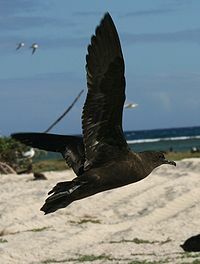 Adult birds are normally sedentary, remaining in the vicinity of the colonies, though immature birds may travel widely over the oceans. Frigatebirds not normally seen in places like Townsville, distant from breeding colonies, except after cyclones and cyclone Yasi was no exception with both Great and Lesser Frigatebirds being recorded along the coast. 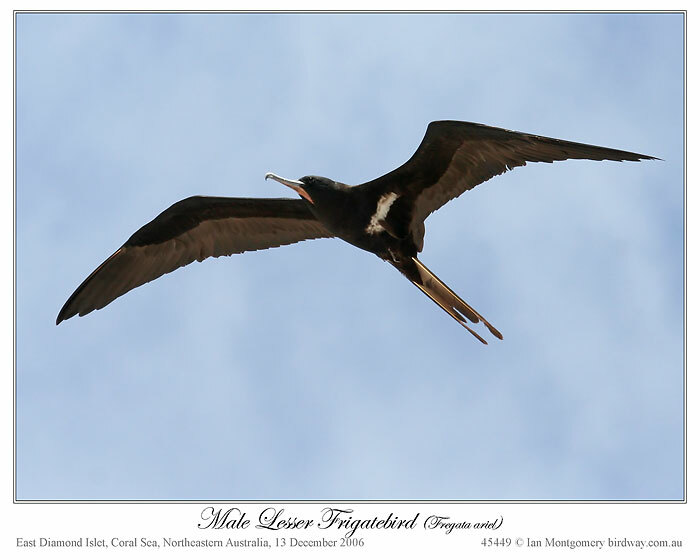 I was surprised to see a pair of Lesser Frigatebirds near my place at Bluewater, 11km from the coast and the birds looked quite out of place soaring over the hills south of the house. 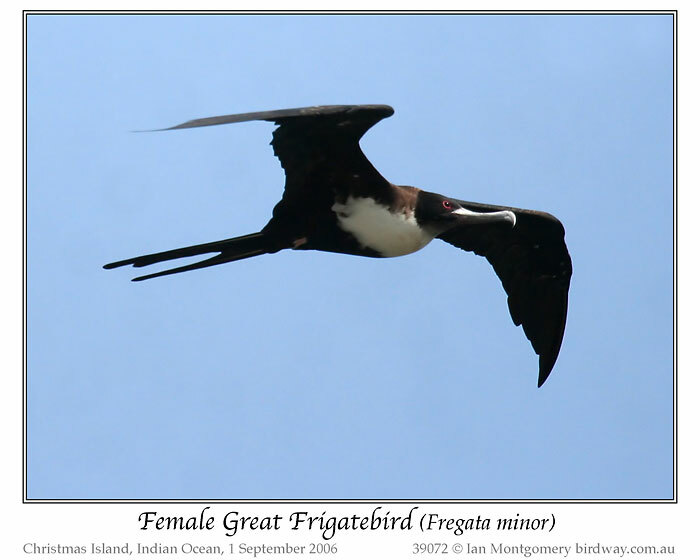 Lesser Frigatebirds are easily distinguished in all plumages from Great Frigatebirds by having white ‘armpits’ or spurs. 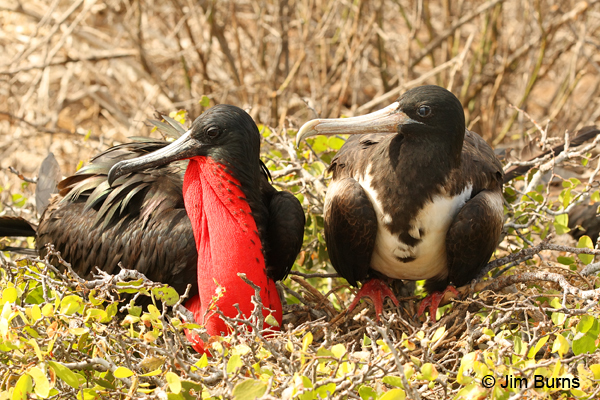 The first photo shows a male bird, black except for these spurs and male Great Frigatebirds are entirely black. 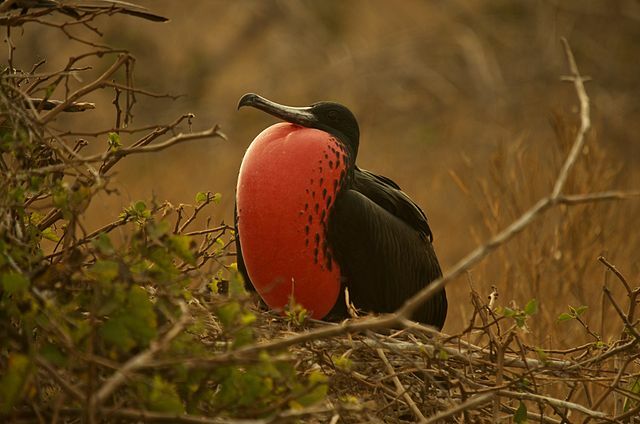 Male Frigatebirds have inflatable red throat pouches used to spectacular effect in displays (for example this male Magnificent Frigatebird in Ecuador: http://www.birdway.com.au/fregatidae/magnificent_frigatebird/source/magnif_frigatebird_27662.htm ). 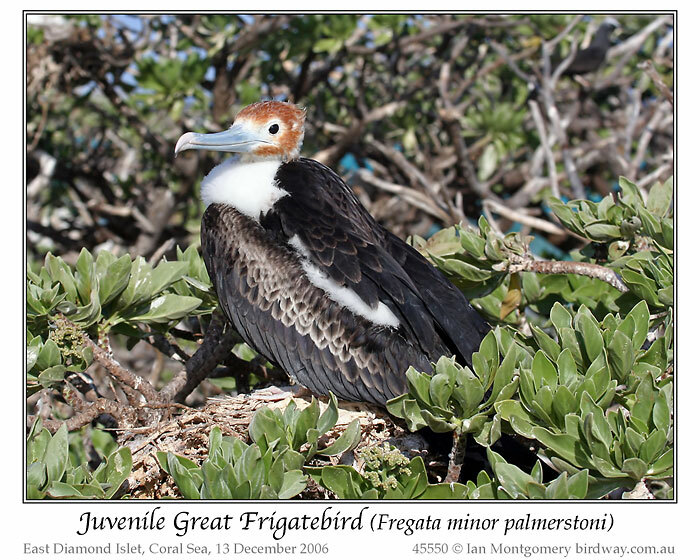 The second photo shows a female Lesser Frigatebird and the third an immature one. 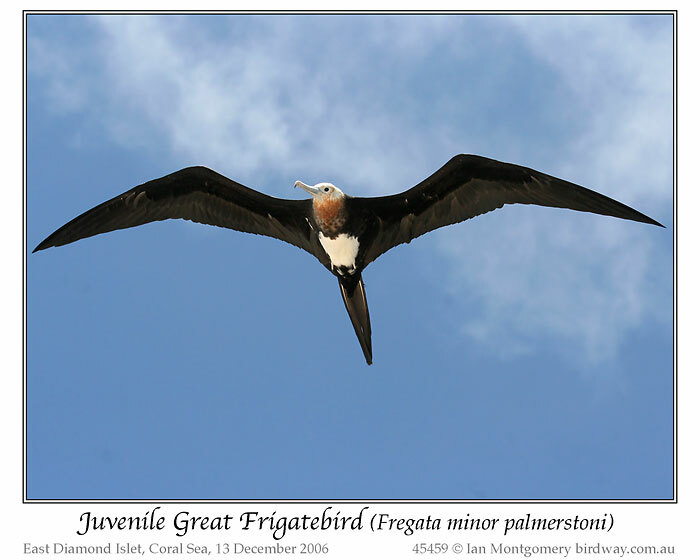 Frigatebirds are huge. Even the Lesser, the smallest of the 5 global species, is 70-80cm/28-32in. in length with a wingspan of 1.8-1.9m/5.9-6.2 feet. 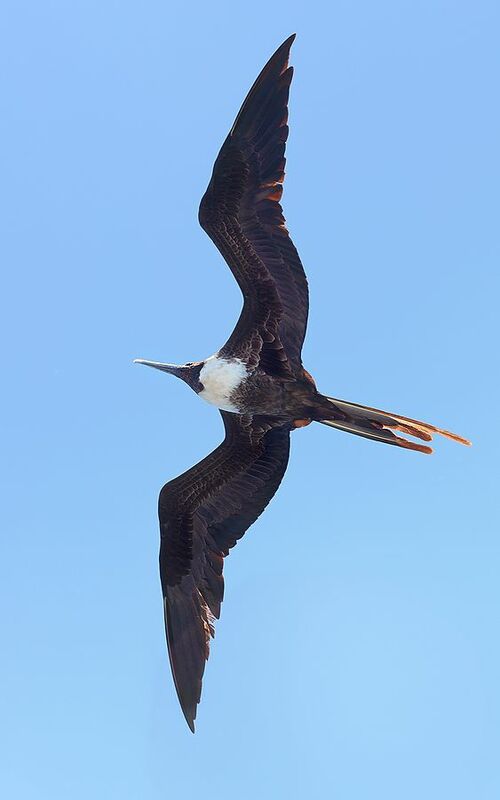 They are very light for their size, having very light bones, and are adapted to soaring effortlessly in the trade winds where they are usually found. 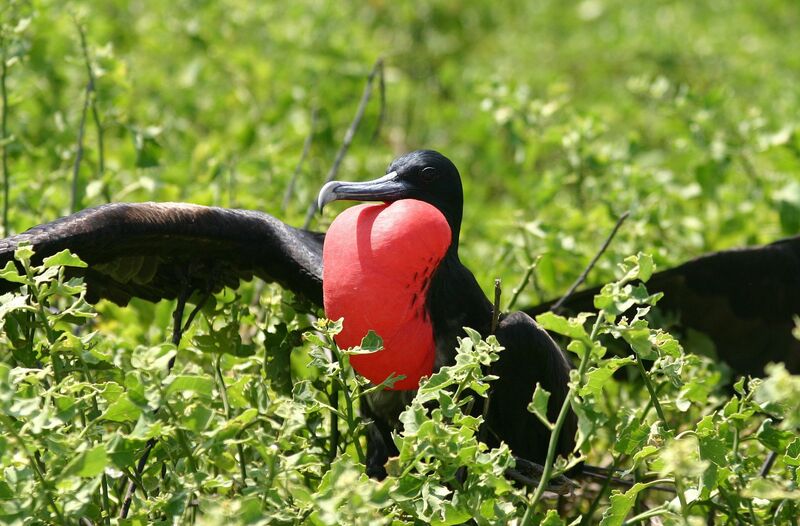 They are famous as pirates, forcing other seabirds, particularly boobies, to disgorge their prey ( http://www.birdway.com.au/fregatidae/greater_frigatebird/source/greater_frigatebird_39356.htm ), but they are also adept fishers in their own right, snatching flying fish in flight and other fish and cuttlefish from the surface of the water. They have tiny feet, useful only for perching in trees when nesting or roosting and quickly become water-logged if forced to land on water which they normally avoid. 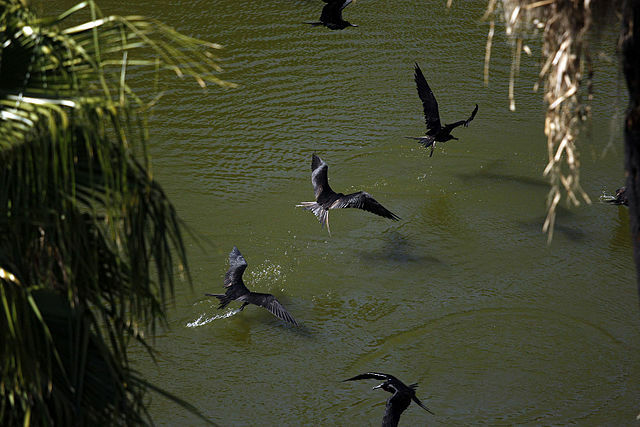 They will bathe and drink fresh water in flight ( http://www.birdway.com.au/fregatidae/greater_frigatebird/source/greater_frigatebird_40675.htm ). 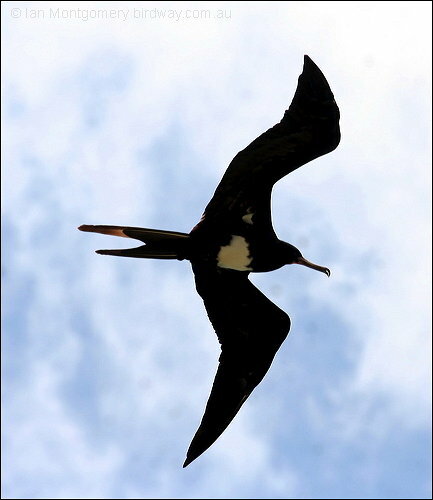 11km from the coast is nothing to a frigatebird and it is likely that cyclone-distributed frigatebirds can find their way home (like swifts, they often take advantage of storm fronts). Less fortunate perhaps was the Petrel recorded post-Yasi on the Atherton Tableland by Alan Gillanders, though the record for Yasi goes to a Bridled Tern rescued ‘in bad shape’ in Alice Springs by Chris Watson, probably as far away from the ocean as you can get in Australia. 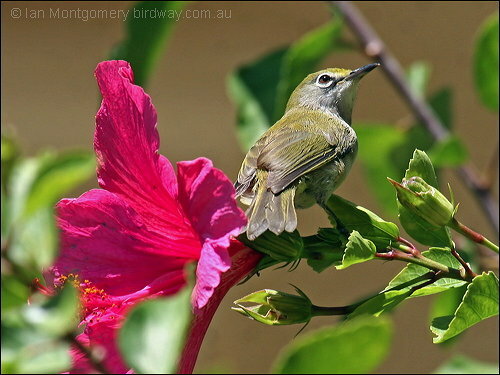 The latest addition to the website is a taxonomic index of Australian birds ( http://www.birdway.com.au/aus_taxonomic.htm ), showing Orders and Families and with links to the 97 of 103 families of Australian birds represented on the website. The 6 unrepresented families are also shown but lack links. Some of these missing families are merely rare vagrants such as Northern Storm-Petrels and Leaf Warblers (the Arctic Warbler) or introductions like the Ostrich but others such as Penguins (there are only photos of African Penguins) are to be regretted and I hope to rectify this before the year is out. The other two – Scrub-birds and Sheathbills – are in the very hard baskets, and I can’t make any promises. 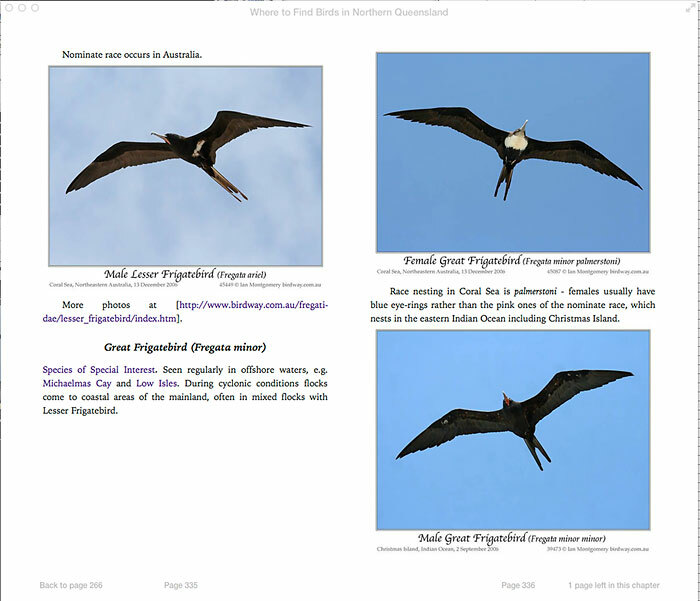 If classification is your thing, this page is for you and you can find it under the grey navigation button ‘Indices to Australian Birds’ formerly singular. 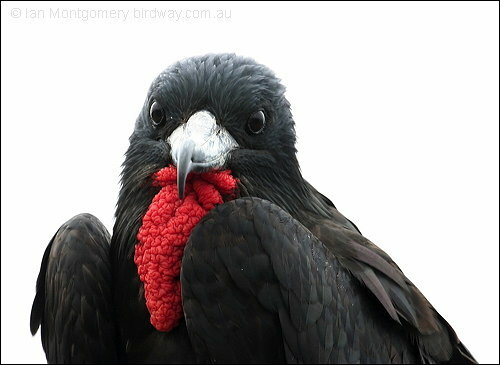 There are also instructions on the home page: http://www.birdway.com.au/index.htm#news . 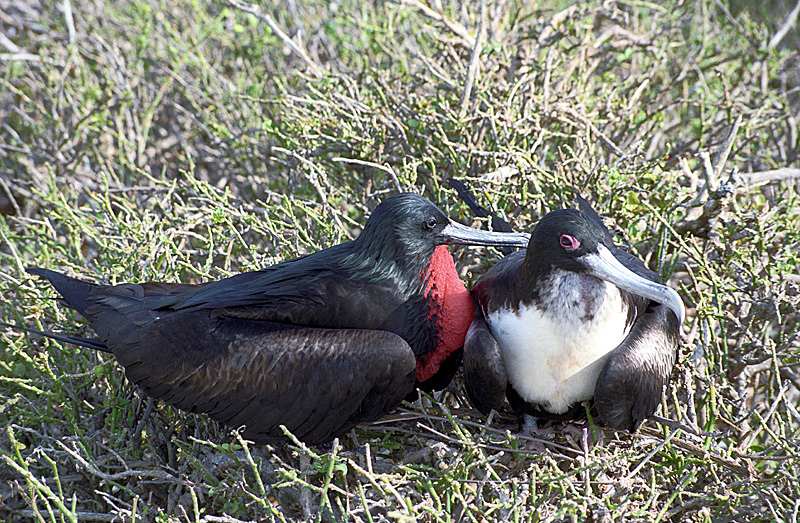 The frigatebirds are a family, Fregatidae, of seabirds. There are five species in the single genus Fregata. They are also sometimes called Man of War birds or Pirate birds. Since they are related to the pelicans, the term “frigate pelican” is also a name applied to them. 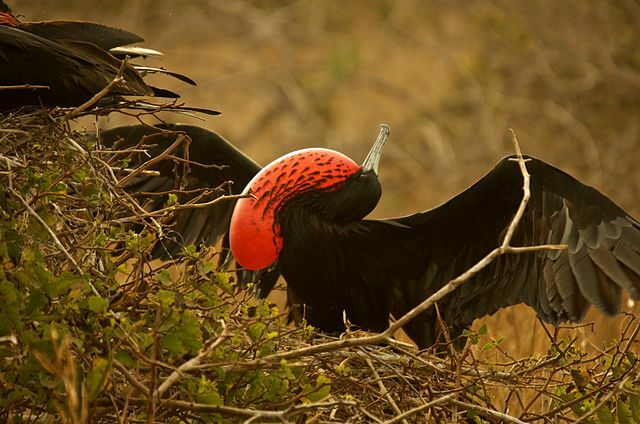 They have long wings, tails and bills and the males have a red gular pouch that is inflated during the breeding season to attract a mate. They are part of the Suliformes Order. 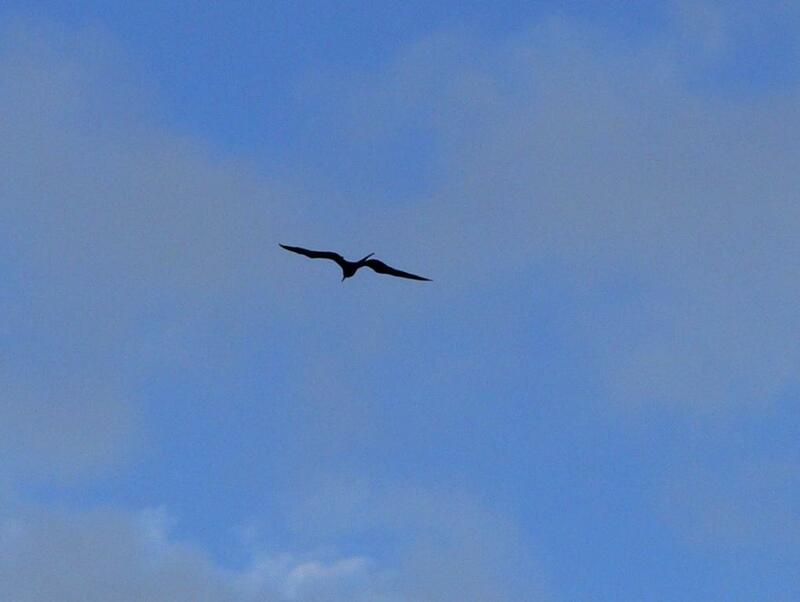 Dan and I had the privilege of see a Magnificent Frigatebird flying over Ding Darling NWR. (18) And all they that heard it wondered at those things which were told them by the shepherds. 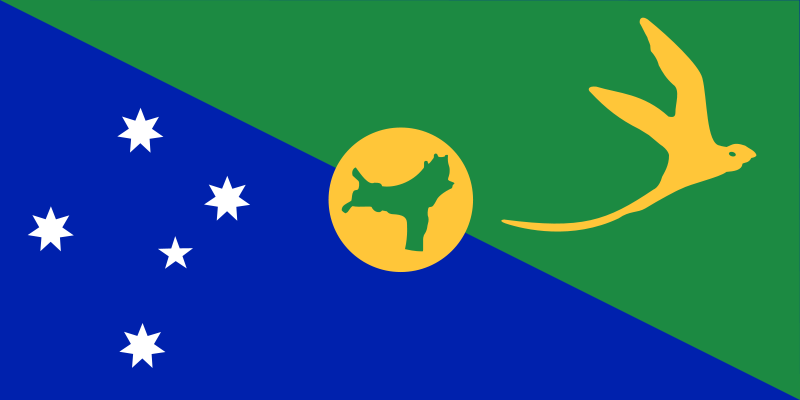 While searching to find birds to write about with a Christmas theme, I came across the Territory of Christmas Island which belongs to Australia. 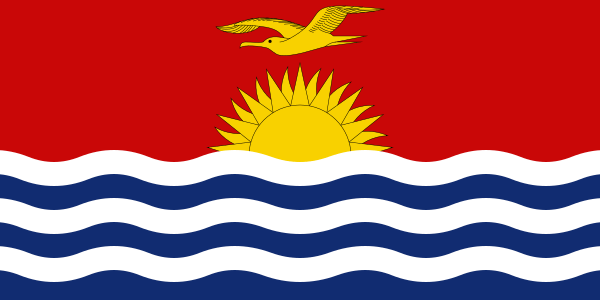 It is in the Indian Ocean and only has a population of 1,403 residents who live in a number of “settlement areas” on the northern tip of the island. The island’s geographic isolation and history of minimal human disturbance has led to a high level of endemism (or state of being unique to a defined geographic location, such as an island, nation or other defined zone, or habitat type, and found only there) among its flora and fauna, which is of significant interest to scientists and naturalists. 63% of its 135 square kilometres (52 sq mi) is an Australian national park. There exist large areas of primary monsoonal forest. 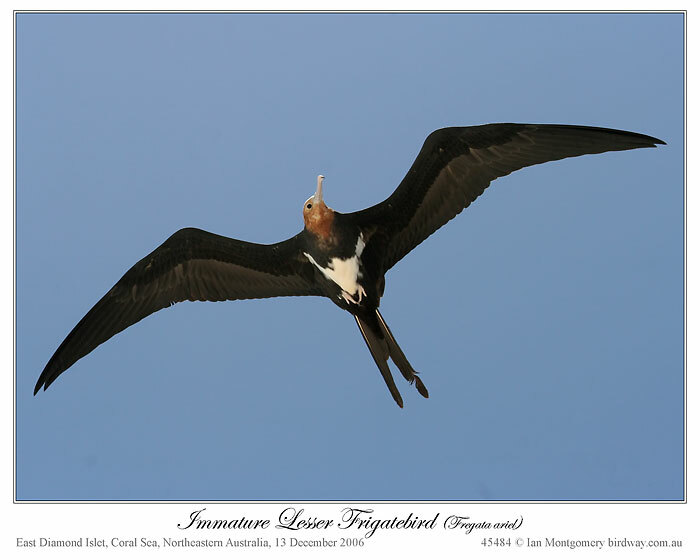 Christmas Island is a focal point for sea birds of various species. Eight species or subspecies of sea birds nest on the island. 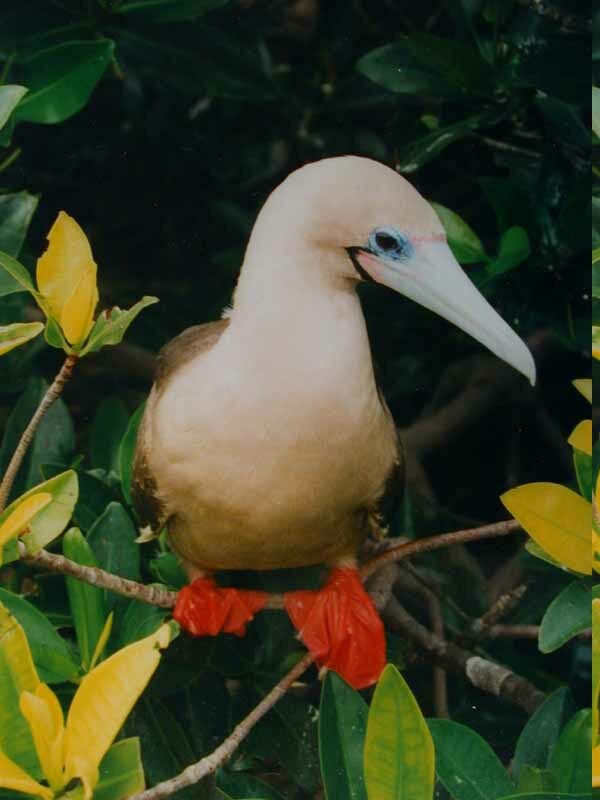 The most numerous is the Red-footed Booby that nests in colonies, in trees, on many parts of the shore terrace. The widespread Brown Booby nests on the ground near the edge of the seacliff and inland cliffs. 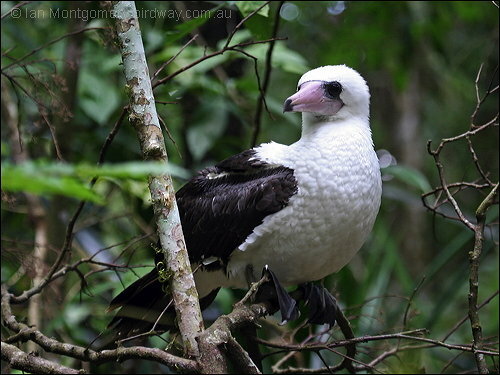 Abbott’s Booby nests on tall emergent trees of the western, northern and southern plateau rainforest. 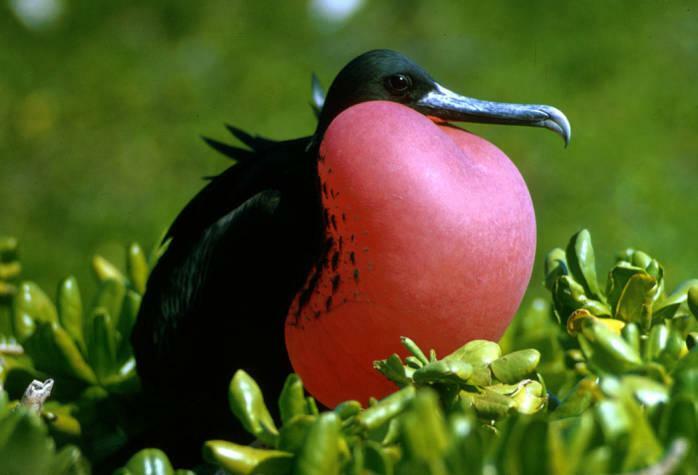 The Christmas Island forest is the only nesting habitat of the Abbott’s Booby left in the world. 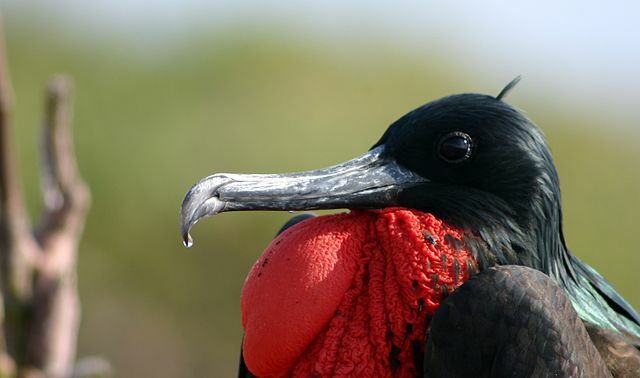 The endemic Christmas Island Frigatebird (listed as endangered) has nesting areas on the north-eastern shore terraces and the more widespread Great Frigatebirds nest in semi-deciduous trees on the shore terrace with the greatest concentrations being in the North West and South Point areas. 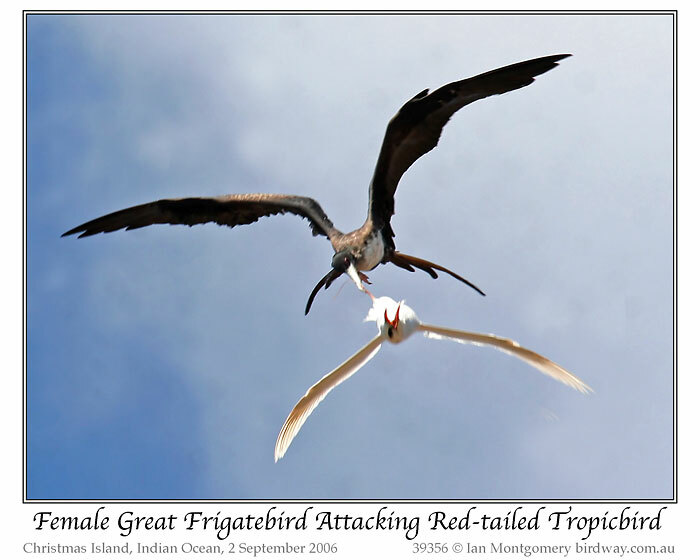 The Common Noddy and two species of bosuns or tropicbirds, with their brilliant gold or silver plumage and distinctive streamer tail feathers, also nest on the island. 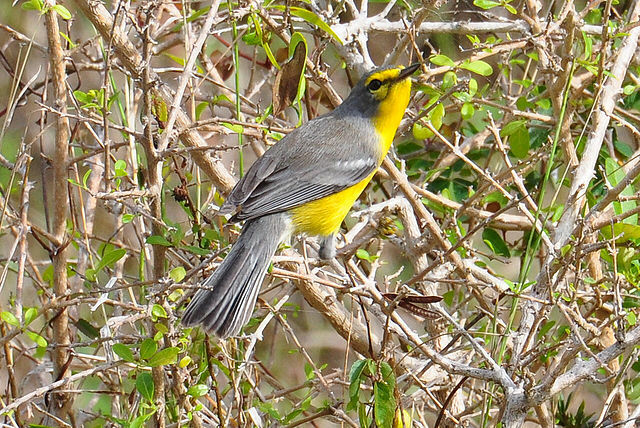 Of the ten native land birds and shorebirds, seven are endemic species or subspecies. 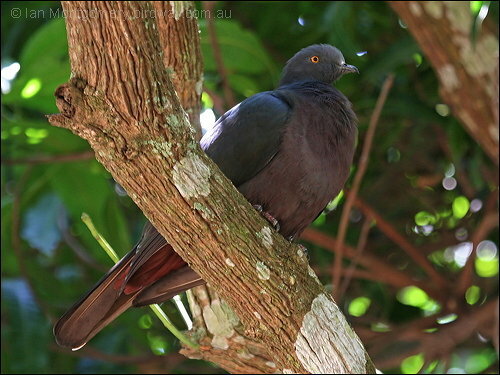 This includes the Christmas Island Thrush, and the Christmas Island Imperial Pigeon. 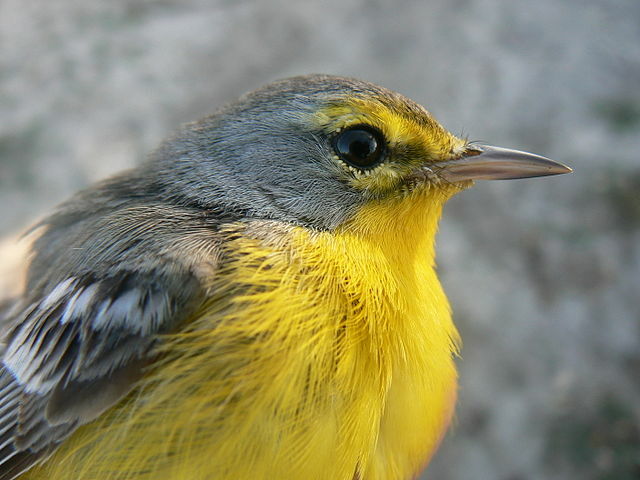 Some 86 migrant bird species have been recorded as visitors to the Island. The list of birds from the I.O.C., which I use, lists five birds starting with Christmas. 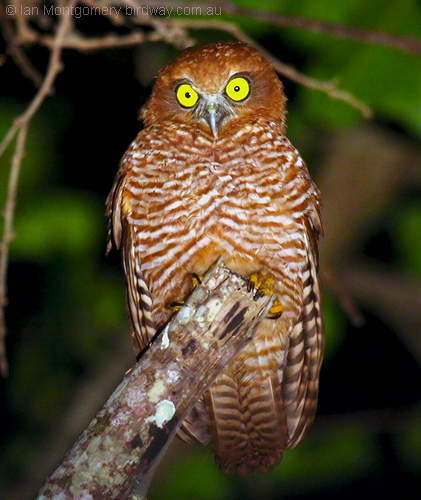 The Christmas Boobook (or Christmas Island Hawk-Owl), Christmas Frigatebird, Christmas Imperial Pigeon, Christmas Shearwater, and the Christmas White-eye. Some information from Wikipedia and other internet sources.